How do events get into the Olympics to begin with? Step 1: IOC recognition of an activity as a sport. The IOC requires that the activity have administration by an international nongovernmental organization that oversees at least one sport. Olympic Movement Anti-Doping Code, including conducting effective out-of-competition tests on the sport’s competitors while maintaining rules set forth by the Olympic Charter. Step 3: filing a petition establishing its criteria of eligibility to the IOC. or as an event, which is a competition within a discipline. 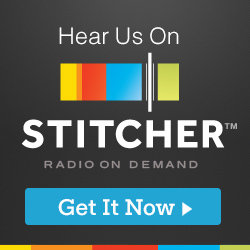 women in no fewer than 40 countries and on three continents. The sport must also increase the ‘‘value and appeal’’ of the Olympic Games and retain and reflect its modern traditions. There are numerous other rules, including bans on purely ‘‘mind sports’’ and sports dependent on mechanical propulsion. These rules have kept chess, automobile racing, and other recognized sports out of the Olympic Games. permitting new sports only in conjunction with the simultaneous discontinuation of others. Sports that have already been part of the Games are periodically reviewed to determine whether they should be retained. The Olympic Programme Commission notes that problems have arisen when trying to find venues to accommodate some sports’ specific needs, such as baseball and softball, which were discontinued from Olympic programming after the 2008 Beijing Games. When choosing sports to include in the program, the IOC must take into consideration media and public interest, since these are a key drive behind the Olympic Games, but must simultaneously manage costs. Ski ballet involved a choreographed routine of flips, rolls, leg crossings, jumps, and spins performed on a smooth slope. After the mid-1970s the routine was performed to music for 90 seconds. Short time in the 1980’s Pair Ski Ballet. The origins of skijoring can be traced to 1850s Scandinavia, when residents drawn to the various gold rushes in the western United States returned home and introduced Native American dog sledding traditions they had witnessed to local conditions. One dog more practical to raise than a team, if pulling a sled then having the driver ski behind was easier on the animal. Saint Moritz Switzerland the horse is riderless so skier is also guiding the horse. Either way horse has to be specially trained to pull a skier. Said to have originated as a method of winter travel. Reindeer Skijoring Debut in Sotckholm Nordic Games 1901. Dog Skijoring: Skier provides power by skiing and using poles. No reigns or signaling devices, dogs must be motivated to run and willing to obey skier. Races are often held in conjunction with sled dog racing. organizers of the sport say the swimmer is actually in sync with the music. 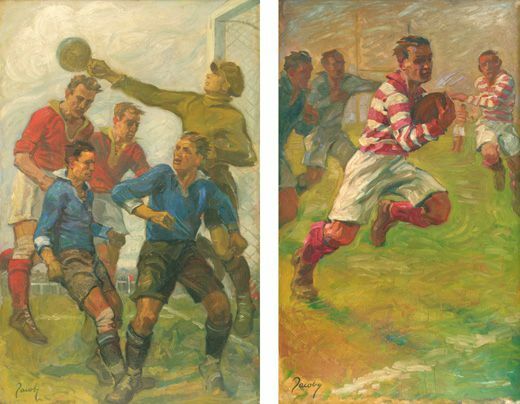 works inspired by sport were allowed to receive medals. Arts judged by a panel-controversy even from the start. 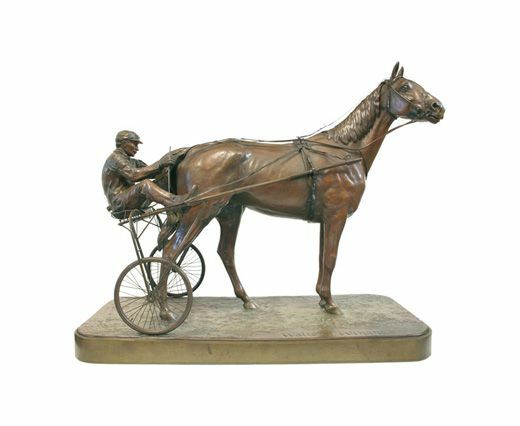 According to Smithsonian.com 1912 American Marksman, Walter W. Winans won in silver for sharpshooting shooting and gold for a bronze sculpture of a 20 inch horse pulling a small chariot. That was the first ever Olympic Gold medal for sculpture. During the 1932 games in Los Angeles, nearly 400,000 people visited the LA Museum of History, Science and Art to see the works entered. After WWII, the Pentathlon had troubles. Ended when the argument about amateurs came up. At that time, only an amateur was allowed to compete, it was decided that artist were professionals. They rely on their art to make money and could use the medals won to gain fame. Strange twist, there isn’t much info about The Pentathlon of the Muses. The Olympic web site doesn’t even list the medal winners for the arts. They have been stricken from the official record and do not count toward countries current medal counts. 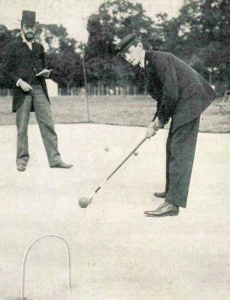 In the 1920 Olympics, It was only men competing. Now a days it’s choreographed with music and gaining in popularity, even in the US. British colonist came across the pins in India. So of course, they called them Indian Clubs. 19th century exercise equipment used for strength and agility training. Super popular in the Victorian era used by military and fancy ladies…gyms were built specifically for exercise groups. Two clubs, look like juggling pins. Swung around the body in a set routine. All French and one Belgian played. Supposedly only one person came to watch, An Englishman. Some of the sports we are talking about were DEMONSTRATION SPORTS. Normally used to promote a local sport from the host country. Now they are more likely to be used to to gauge interest in a new sport. Not introduced officially until 1912. Possible competition for distance and accuracy. 17 events all for men. Only french competitors. contestants shot at a dummy dressed in a frock coat.